SAN DIEGO - The guided-missile destroyer USS Michael Murphy (DDG 112) arrived in Suva, Fiji, for a routine port visit, Jan. 27. Ship visits like these provide excellent opportunities for the United States and Pacific Island Nations to strengthen theater security cooperation and help to ensure a safer and more prosperous future for the region. While in Suva, the crew will actively engage with the local community by hosting a welcome reception on board the ship. They will also participate in community relations events and a friendly soccer match. Commanded by Cmdr. Robert A. Heely Jr., the ship and crew of more than 300 Sailors departed Joint Base Pearl Harbor-Hickam for a regularly scheduled Western Pacific deployment with the Carl Vinson Carrier Strike Group as part of the U.S. Pacific Fleet-led initiative to extend the command and control functions of U.S. 3rd Fleet into the Indo-Asia-Pacific region, Jan. 13. 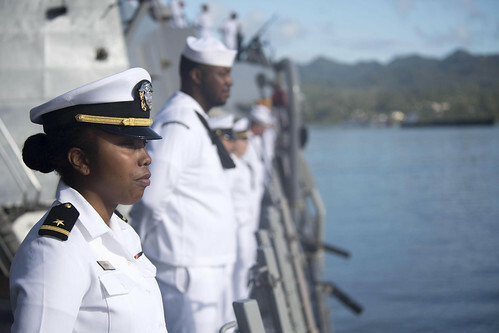 During their deployment, they will collaborate with the U.S. Embassy Suva to conduct goodwill activities in Fiji with partner organizations and various presence operations, such as Oceania Maritime Security Initiative (OMSI), in the Western Pacific Ocean. OMSI is a Secretary of Defense program, which leverages Department of Defense assets transiting the region to increase the Coast Guard’s maritime domain awareness, ultimately supporting its maritime law enforcement operations in Oceania. 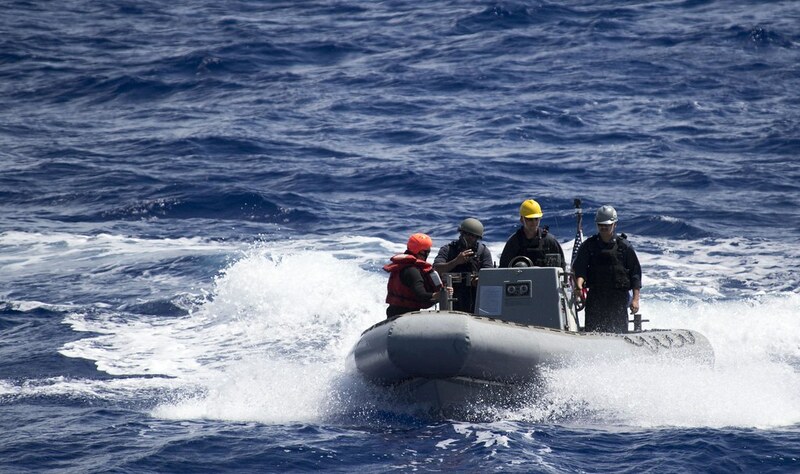 A law enforcement detachment from U.S. Coast Guard Tactical Law Enforcement Team based in San Diego will also embark Michael Murphy to conduct maritime law enforcement operations in support of U.S. and Pacific Island Nations fisheries laws and to suppress illicit activities. Upon completion of OMSI, the ship will continue operations in the Indo-Asia-Pacific region. U.S. Navy aircraft carrier strike groups have regularly patrolled the Indo-Asia-Pacific for more than 70 years and will continue to do so. Carl Vinson has deployed to the region several times, starting with a deployment to the Western Pacific in 1983, a year after commissioning. Most recently in 2015, Vinson conducted port visits and exercises with regional navies in the South China Sea. Commissioned October 6, 2012, Michael Murphy is named after Navy SEAL Lt. Michael P. Murphy who was posthumously awarded the Medal of Honor for his heroic actions during Operation Red Wings in Afghanistan, June 28, 2005. Murphy was the first person to be awarded the medal for actions in Afghanistan and was the first member of the U.S. Navy to receive the award since the Vietnam War.